DPR Caterham Brake Bias Kit - AP lever type complete with braided hoses and fixings. We have designed a brake bias kit specifically for a Caterham. The kit contains an AP Racing brake proportioning valve (lever type), Caterham tailored front & rear braided hoses to connect the bias valve to the rear union and all the required spacers and fittings. 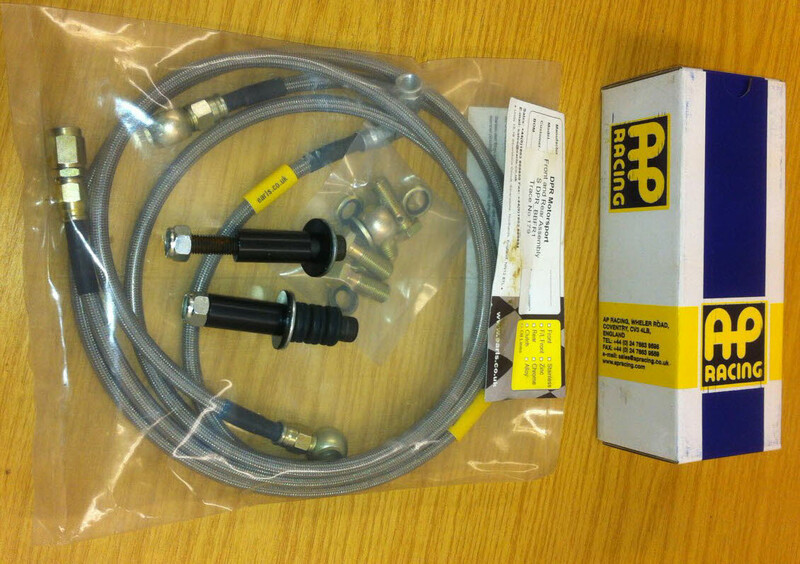 With the DPR kit the existing front to back brake pipe is replaced by the two supplied braided hoses. This avoids having to cut and reform the ends on the existing brake pipe. Fitted in-line this lever type valve gives the driver 7 adjustment positions which are indicated by a positive location of the lever, meaning that adjustments can be made quickly and easily even while driving. Use of the bias valve enables the front & rear braking to be balanced for different pad materials and track conditions. The parts for this kit are not sold separately. i.e. The brake bias kit is only available on a supply and fit basis. CASTROL REACT SRF RACING - previously known as SRF Racing brake fluid - High performance brake fluid for vehicles under extreme or race conditions. 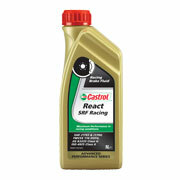 Castrol React SRF racing brake fluid is specially formulated to maximise braking performance in competition conditions. React SRF DOT 4 brake fluid has a very high boiling point of over 300 degrees celsius making this fluid ideal for race use.